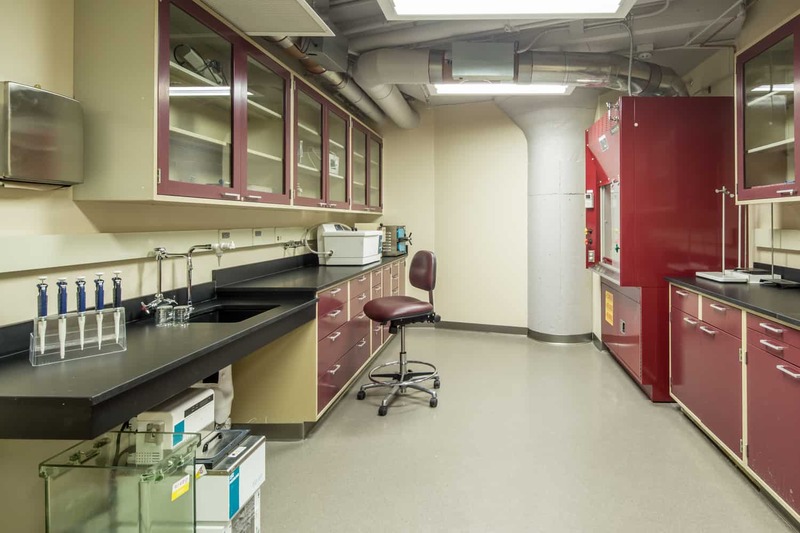 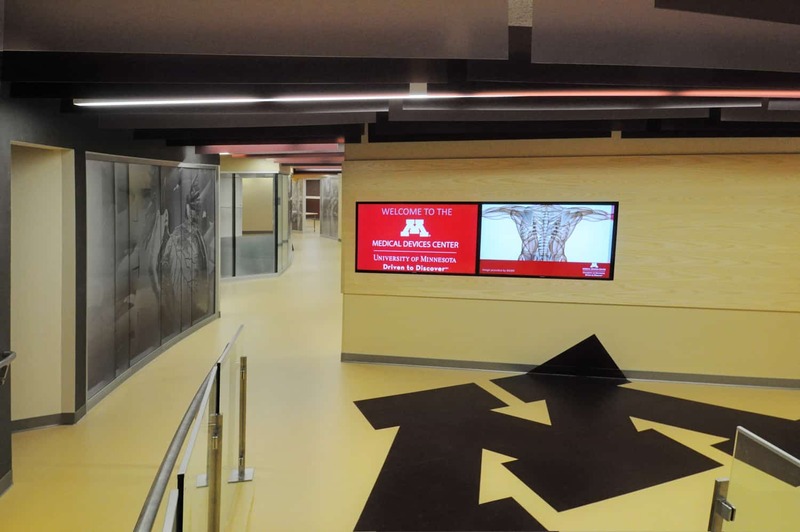 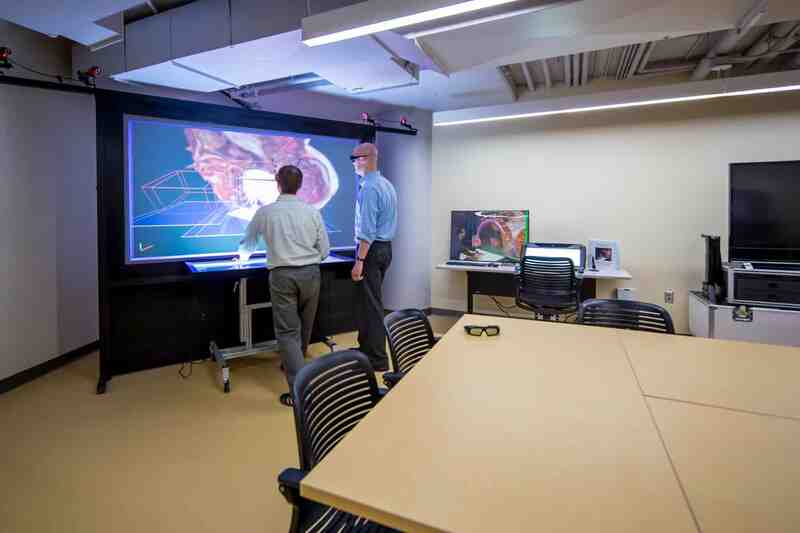 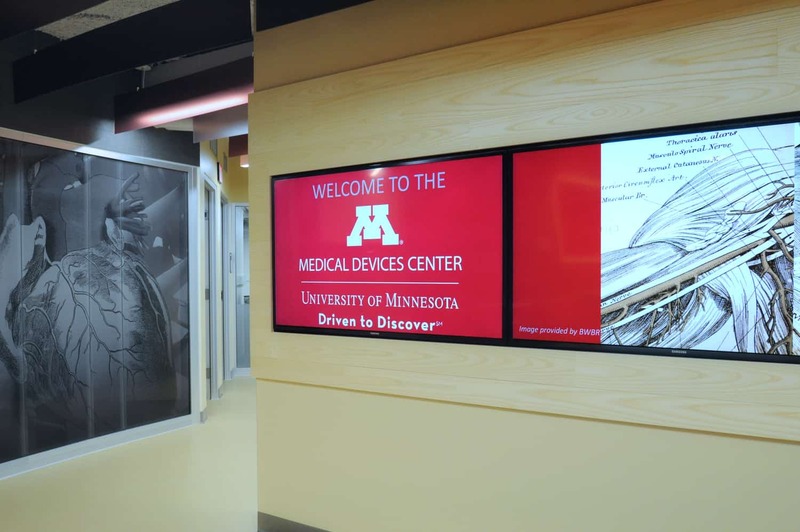 Combining basic research, applied translation research, education, training, and outreach, the Medical Devices Center at the University of Minnesota provides space for senior design teams from the Biomedical and Mechanical Engineering departments as well as fellows to research and develop innovative medical devices. 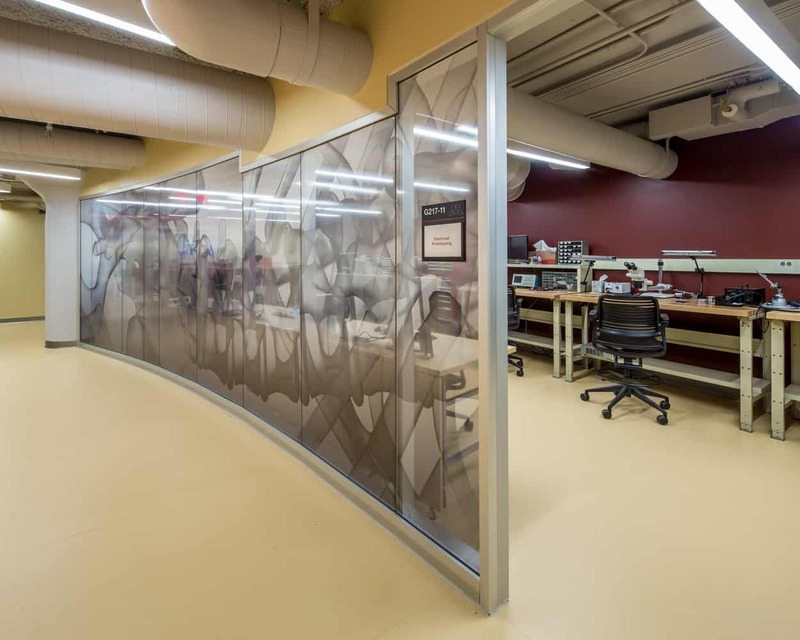 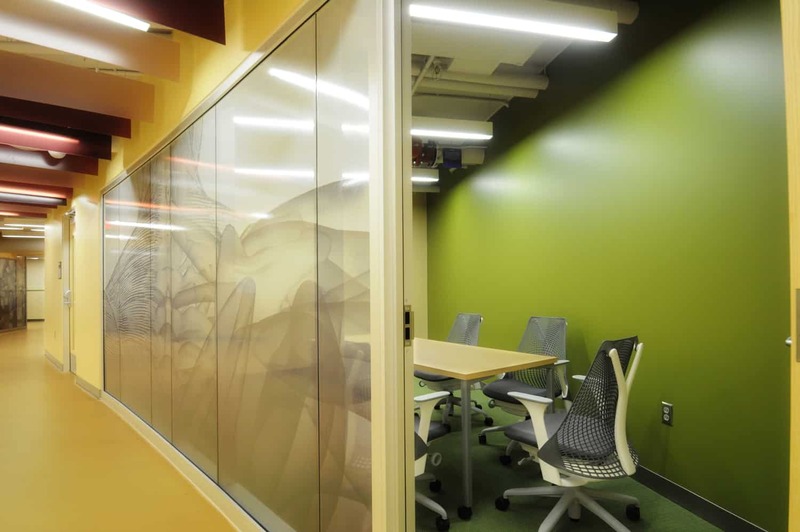 Located in an interior space lacking windows, the design team created a dynamic environment marrying high-tech and biology around a central “spine,” using environmental graphics, furnishings, and color to bring life to the space. 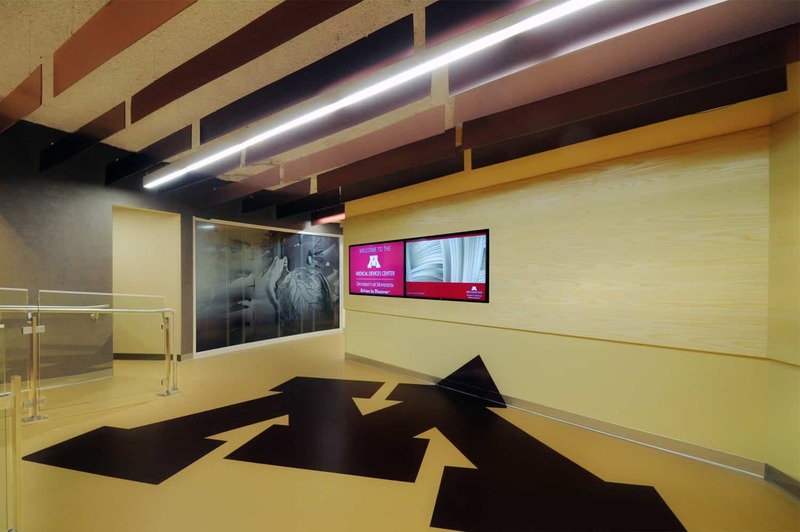 A unique project combining both public and corporate funding support, the space is created from the renovation of a code-deficient parking garage. 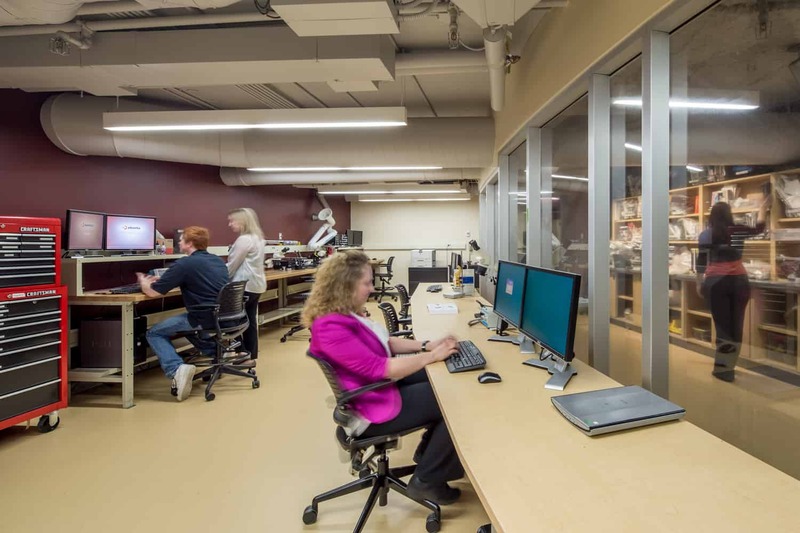 The space provides sufficient growth for the program, which in five years has doubled in size and generated dozens of patents for the University and partners. 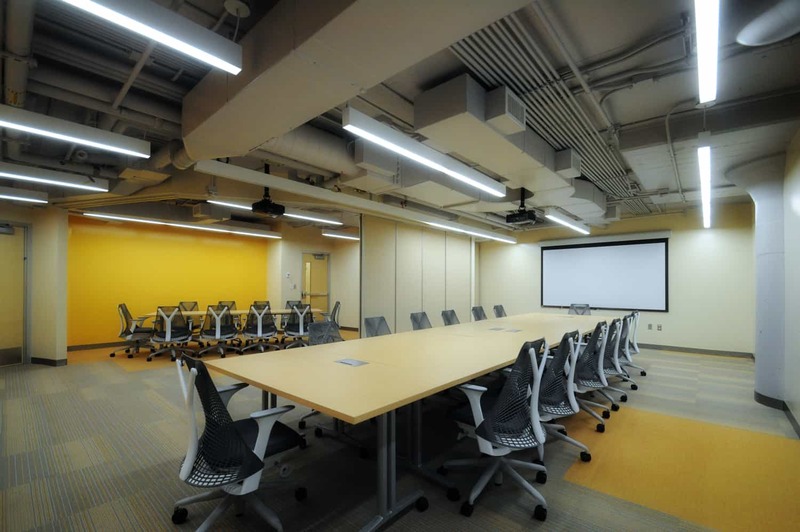 The center hosts public and corporate partners, raising the visibility of the center to increase interest and support and foster collaboration between the public and private sectors.